I am a masters track/velodrome sprinter. My events are the match sprint, 500m time trial and team sprint. I started using Steve as my strength/power coach in May 2014. He coordinated my program with my track coach, including the necessary periodization. 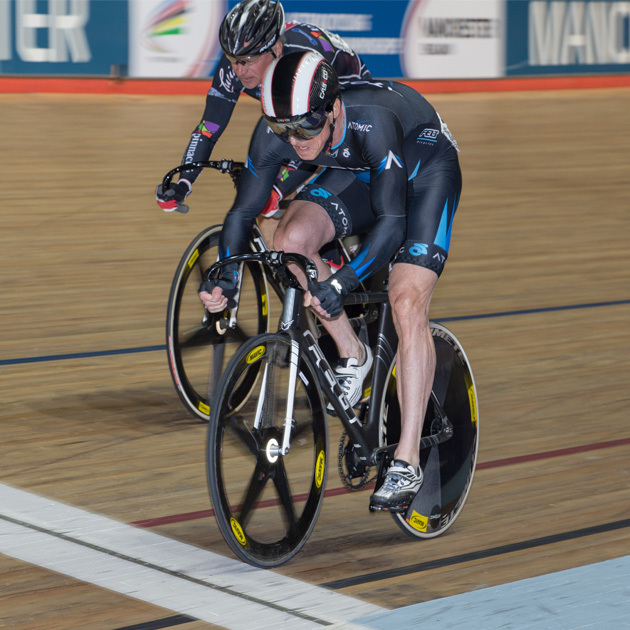 Steve's program was significantly different from other track cycling programs that I had used. The program includes the normal strength/power lifts but also a significant portion of the program is for my specific sport. The program is hard but is consistent with my goals. My strength and power increases have been consistently increasing since I started using Steve, as evidenced by my power meter readings and PB's on the track and in the gym. 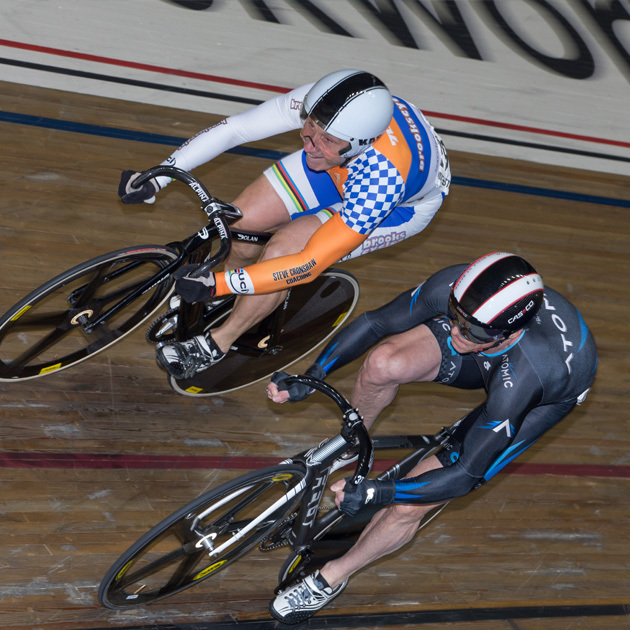 I improved to 2nd in both the match sprints and 500m TT at the US Masters Nationals in August, 2014. 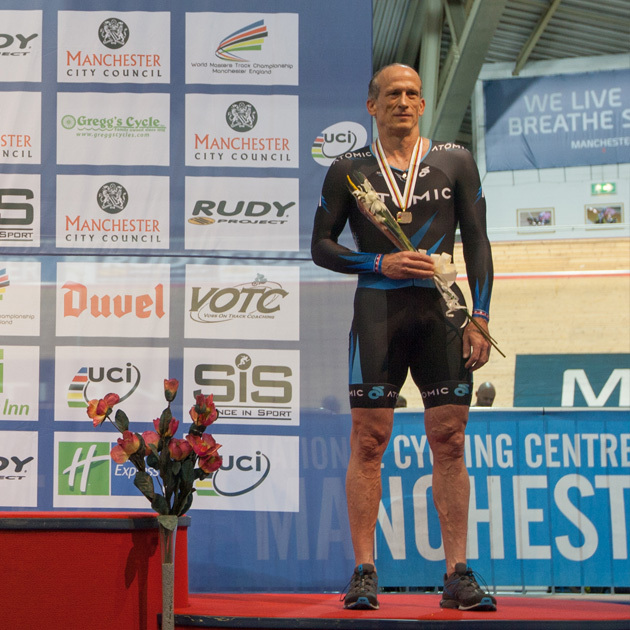 At Masters worlds in October, 2014, I set PB's in the flying 200m and 500m TT and improved to 3rd in the match sprint from 10th the previous year. 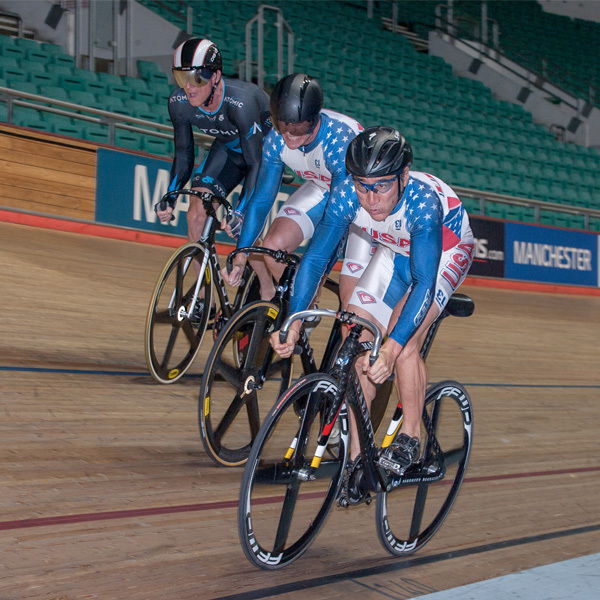 I plan to win the match sprints at both the US nationals and worlds in 2015. 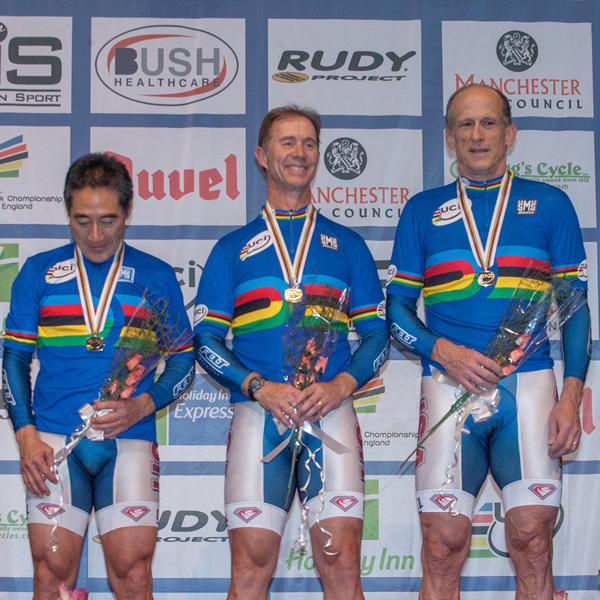 Our team won the team sprint at Nationals, but we knew that we had to step up our game for Worlds. I went third at Worlds, a position that I had never ridden before. The secret is to ride the largest gear that you can and still get on the starter, and then have the power to push the larger gear on the last lap. In the finals, we executed properly and won by just over a second. Steve's program was crucial to having the power to get on the starter and power the last lap. 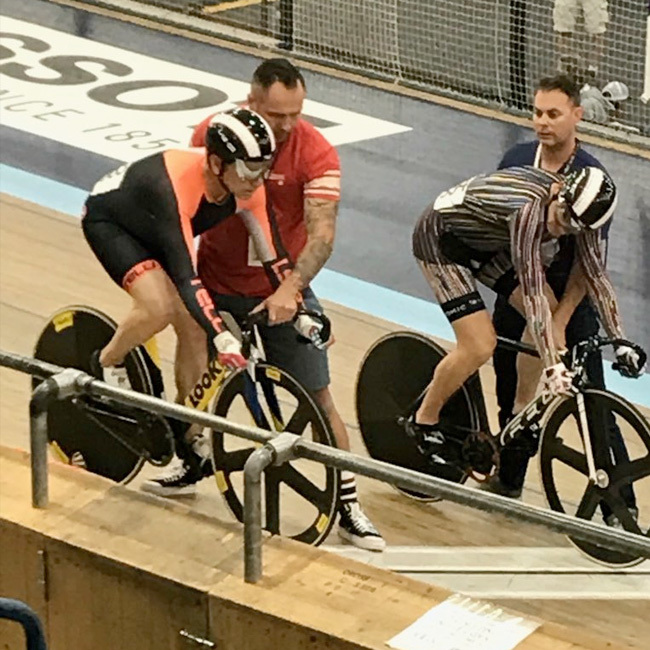 World championships track masters Los Angeles 2017 - Steve holding Robert Pelegrin and Travis holding Aron seiken for match sprints.